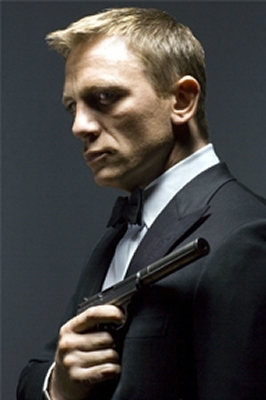 It is the news that many dedicated 007 fans and also serious car collectors have been patiently waiting for. 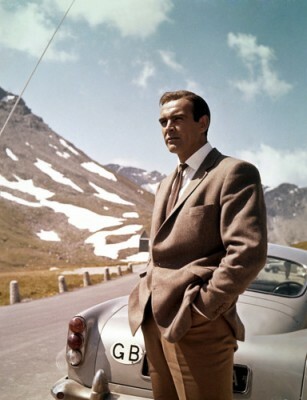 According to reports in the British press, the famous Aston Martin drive by Sean Connery as 007 in Goldfinger (1964) and tragically stolen 20 years ago from a Florida airport, may have been found at last. But the emphasis should still be on may. Reports in both the Sunday Telegraph and the Mail have revealed that the 1964 DB5, an iconic piece of James Bond film history, could have been found in the Middle East, according to a tip given to investigators. The car was originally stolen in 1997 while its owner, who had purchased it in 1986 for $250,000, was holding it in storage in an airport hanger in Boca Raton. British press reports have tantalisingly claimed that Art Recovery International, which was hired by an insurance company to find the DB5, could be on the verge of retrieving the legendary Bond car. Christopher Marinello, Art Recovery’s chief executive, was quoted as saying: ‘I have been given a specific tip’, and the company was now working on it. He said they wanted to ‘reach out’ to the car collector community and to a vast array of mechanics to let them know that the company is ‘very serious about recovering it’. In fact, a six-figure cash reward is being offered for any hard information that leads to the car’s safe return. Mr. Marinello added, however, that: ‘As there are many Aston Martins, it is very important that we get a shot of the chassis number dp/216/1. This is what we are looking for, as it is very specific to the vehicle’. Indeed, this is especially important, as the car in the Middle East could be a fake rather than the real thing. As many 007 aficionados are aware, the introduction of the gadget-laden Aston Martin to Connery’s third fabulous James Bond movie had a huge impact, and the vehicle became known as ‘The Most Famous Car in the World’. 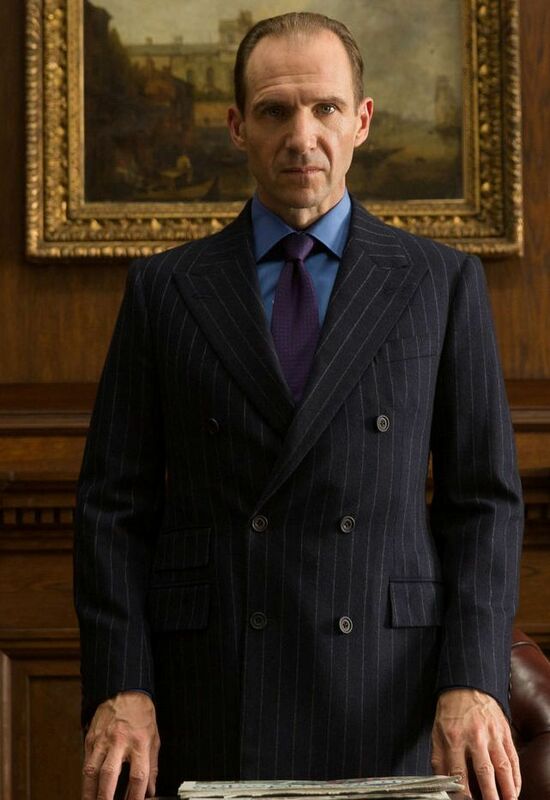 During the actual production of Goldfinger, two DB5s were loaned by Aston Martin to EON and used during filming, one with the now iconic gadgets and one which did not feature any of the gadgets. The second, non-gadget laden model, however, was also eventually equipped with gadgets that were identical to the first vehicle and was then used both for publicity purposes and in the fourth 007 movie Thunderball (1965). Two additional DB5s were then purchased by EON and ‘adapted’ for promotional use. 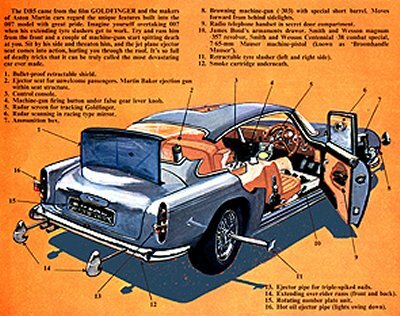 The original gadget-laden model used in Goldfinger was, unfortunately, stripped of its gadgets and then sold as a standard model. But the purchaser then re-fitted it with its accessories. It was this model that was stolen in 1997. 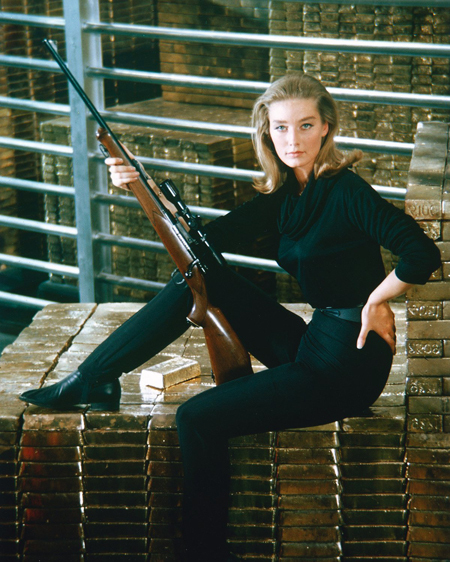 The second model used in Goldfinger (and then in Thunderball) was sold in 2010 for an eye-watering £2.6 million. If the original first model is indeed recovered, collectors estimate it will be potentially worth many more millions.